Product prices and availability are accurate as of 2019-04-22 09:50:34 EDT and are subject to change. Any price and availability information displayed on http://www.amazon.com/ at the time of purchase will apply to the purchase of this product. 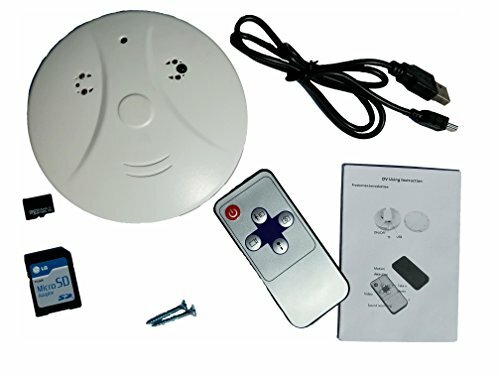 The smoke alarm camera is a hidden high-resolution video surveillance device, with an external micro TF/SD card slot (8GB is included). 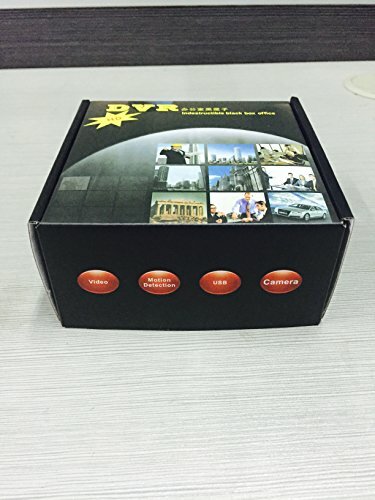 As a multi-functioning high-tech product, the simple remote control activates functions including video recording (live and motion activated), sound recording, and taking of photos. 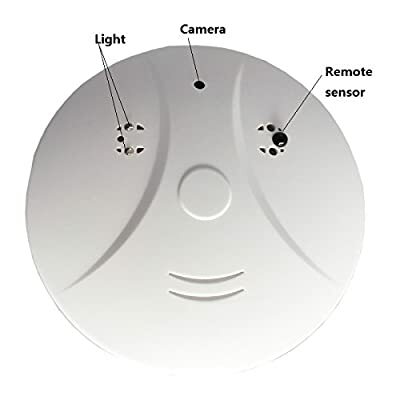 The device can be mounted on the wall, ceiling, or simply placed on on a surface such as a dresser or table etc., (in the right position) to secretly spy activity in the field of view of the camera. 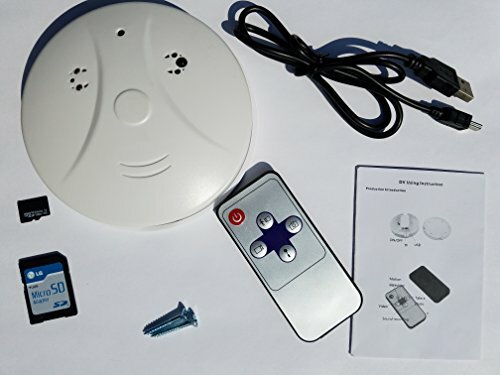 SMOKE DETECTOR CAMERA WITH AUDIO - This smoke alarm camera has a smoke detector appearance, but it is not a true smoke detectors. It's perfect for stealth surveillance as a nanny cam or security camera. 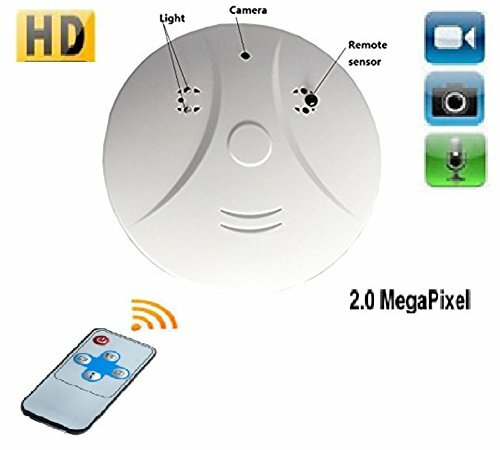 MOTION ACTIVATED CAMERA - It is full color with high definition resolution (1280x960, 2.0 megapixel) with a 72° view angle. It also takes great snapshot photos. 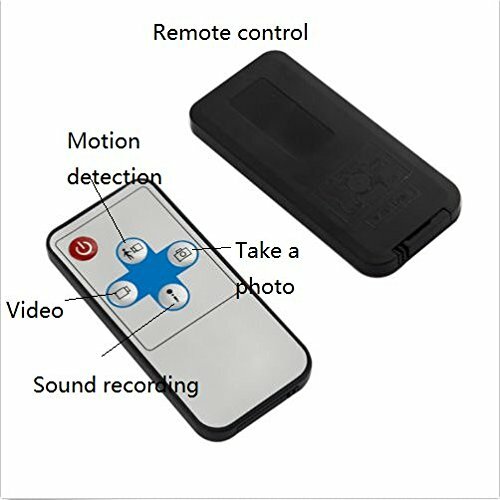 REMOTE CONTROL - The simple to use full function remote enables you to take high quality photos, videos (both live and motion detection), and audio recordings at the push of a button. MEMORY STORAGE - Included in the smoke detector camera spy device is a FREE 8GB Micro TF/SD Card installed! EASY TO CHARGE - Simple connection to your computer via USB cable included. About 60 minutes of continuous / active recording time per charge. Can also be used as a computer connected web cam.